Sarah was born and raised in the Black Country. Having first trained as a pianist and vocalist, Sarah completed her graded music examinations at an early age. She began performing on stage in musicals at professional venues and then moved to the orchestra pit. As conductor, arranger and musical director, Sarah has worked extensively with a number of orchestras and operatic societies in and around the region. Sarah began her teaching career in secondary schools and sixth forms, teaching A Level Music and Performance Studies, in addition to helping schools achieve full Arts College status. She has been responsible for the creation of numerous Musical Theatre courses; both at level three and Foundation Degree level. 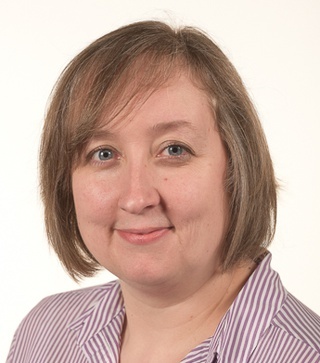 Previously, she successfully managed a large Performing Arts department in the Further Education sector with oversight of all Performing Arts subjects, Media and Film. In 2008, Sarah worked in partnership with the University of Wolverhampton to author a Foundation Degree in Musical Theatre. She was subsequently appointed as Course Leader for the BA (Hons) Musical Theatre course and was responsible for writing both the BA (Hons) degree in Musical Theatre and Drama and the MA Musical Theatre course. During this time, Sarah also established Musical Theatre West Midlands (MTWM), an initiative designed to foster and promote new musical theatre in the region. She was appointed to the post of Acting Head of Drama and Musical Theatre in 2014 and Head of the Music department year later. In 2018, Sarah was appointed as Head of the School of Performing Arts. Browne, S. (2015) 'Everybody's Free to Fail: subsidised British revivals of the American canon', In: Gordon R; Jubin O (eds.) The Oxford Handbook of the British Musical. Oxford University Press. [Forthcoming Nov 2016]. ‘From Hair to Hamilton: Who Lives, Who Dies, Who Tells your Story?’ Song, Stage and Screen Conference (CUNY, USA) and International Federation of Theatre Research Conference (University of Stockholm, Sweden) 2016. 'The Tribal Sacrifice: Re-balancing the role of the female in Tharp’s choreography for the film musical, Hair'. Society of Dance Research Conference (St Hilda's College, Oxford University, UK), 2015. 'What a Piece of Work is Man: Negation of the female in the stage to screen adaptation of Hair'. Restaging the Song Conference (University of Sheffield, UK) 2014. 1998 - 2000: A Level Music Co-ordinator, Thorns Arts College. Sarah has previously worked as conductor, arranger and vocal director. 6DR006 – Musical Theatre Production. External Examiner - BA (Hons) Musical Theatre (Hammond College, University of Chester).